You wake me up when I'm lonely. I miss you Avicii. This is love from China. R.I.P. I remember the first time I discovered Tim with "Seek Bromance" back when I was 13. And then listening "AVICII LEVELS" podcasts every morning when I was in high school, getting me motivated for the day. Listening the promo mix 2013 during long holiday trip in the car with my family... I never had the chance to see one of his show and never will. But I will never stop listening and love everything he did, whether it's his hard work or his wise words. Hope you found peace were you are. Avicci is the person that made me love music, and it still sticks with me to this day. Tim's music is always associated with the best of memories. We love you Tim. It’s been almost a year without you. Been reading and posting comments here every now and then. I google your name at least every week, hoping to read something new about you. That you didn’t die. That there actually is new music coming out soon. But you are dead. You’re gone and there’s nothing left that will be shared with us. I miss you so damn much man. Still can’t get used to you being really gone. I’m honestly thinking about you everyday. Can’t get you out of my mind. When I play his songs I feel happy, but as soon as one of Tims songs are on the radio or someone else plays one I want to cry. Does anyone els feel this way? Du förtjänade så mycket mer.... Inte en dag utan att en tanke går till dig Tim! Hoppas innerligen att dina föräldrar och producenter kommer att ge ut din musik... En hel värld gråter och bara väntar... Fortfarande ofattbart.... Så fin kille! Lever för alltid!! Så stolt att vara svensk! Som Obama sa " vi dansar till Abba o Avicii"! Anki och Klas- Ni ska vara så stolta över Er son!!! Patty You are right. 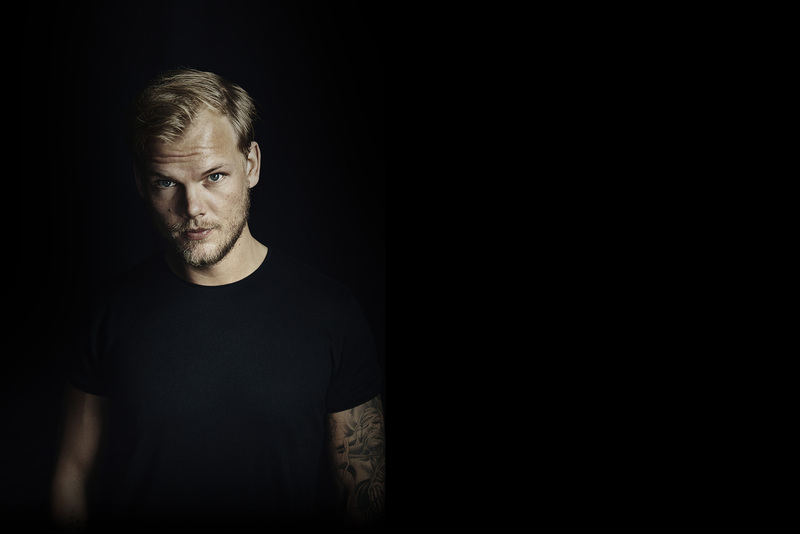 Of Avicii i knew 2 songs and i knew about Tim much too late. but i agree with you. He was not a DJ he was an Angel creating music producing music and DJing. It makes me think of a book that saved my life a few years ago " La musique de L' Ange". Just like the book His music saved many lives. Maybe that book would have saved his life too. “Lay Me Down” played in the club in Vegas and I just started dancing! I don’t dance. That was the first of many times Avicii got me up and dancing! Thank you. I hope you’re resting in paradise. Live a life that will be remembered in the hearts of many after living this world behind. WOW...your creativity is an inspiration and i will adore your perseverance through the tough times. I guess the simple things mean more. Thank you. Avicii’s music got me through my first real time away from home when I was overseas. Listening to his music working out, driving, hanging out or whatever just gave me an escape and I still listen to those same tracks to take me away to that happy place. Thank you Tim, thank you for everything. Hi, In the memories of AVICII, I am from India One day, At an auditorium when my sister finished her performance just a song was played for a short break, and then in that short break the Avicii - The Nights and the Hey Brother, I think it was just for not even 1 min but that 1 min let me to flow through the stream of song and took over my mind and then onwards every I listen to the songs. One day I thought that Let's try some new songs of Avicii but After I came to know about his died I felt..
Hola, ya han pasado meses desde que nos dejaste, me dejaste con muchas dudas pero me di cuenta que no las podrás responder jamás. Te extraño mucho Tim, lamento mucho tu muerte se que fuiste una gran persona y eso nadie lo podrá cambiar. Es tut mir so unendlich leid , dass dieser sensibele, junge, talentierte Mensch keinen anderen Ausweg für sich gefunden hat, als das Leben zu verlassen. Er möge in Frieden ruhen. AVICII- A bright, talented. kind , loving soul. Feel so sorry for his family's loss, things like this should never happen, ever. Pray for his family and hope he has found the peace he was searching for. I'm always gonna be missing you! Unfortunately I never had the chance to see you perform live, but you always brought joy into my life through your music! I'll never understand why you did what you did, but I hope you don't feel any more pain and you are in a better place. Rest in peace, Tim! i love you tim. i will always love you. i hope you are happy up there. we all miss you. RIP, May your music live in within us and we all miss you! I don't have memories of.his concerts...I have memories of.his amazing songs! I watched his documentary on Netflix it just made my heart sank...I feel like I could've helped somehow...his music was genius and I wish he was still here. I mourn the loss of you the same as loosing a best friend. It warms my heart to see so many people feel the same. We miss you but hope you’re ok.
Tim's music contained so much emotion and told stories, and while I didn't know much about him while he was alive, I could feel his soul, his spirit, through his music. I wish someone had heard his cries for help, because he was a beautiful person who created beautiful things. May he rest in peace. Fell in love to Avicii in Germany, and fell out of love the same way. Thank you. Rest in Peace. たくさんの名曲をありがとう。 ずっと好きです。🇯🇵 Big Love, Tim. It burns to know the person who saved my life took his own.Rip avicii,I love you.You will forever be my childhood hero❤.We all miss you. I've just finished to watch the documentary: "Avicii: true stories". What to say, we miss you. Seeing this film made me really understand how much you suffered this life and it makes me tremendously sad that we did not really help you. I was lucky enough to attend your show in Rome, it is a memory that I will always carry inside me. I hope you have now found the peace that you missed here on earth. We miss you so much. Cuando conoci a Avicii su musica realmente me libero, me hizo sentir en otro lugar, fue quien me introdujo a la musica electronica, sus letras, la filosofia de ellas, su ritmo, originalidad y mas hicieron de Tim un gran musico. cuando me entere... no lo podia creer, me dolio y aun sigue, siempre estara en mi corazon y mente, espero que estes en un lugar mejor. Siempre estaras con nosotros. Gracias. You were the DJ I first fell in love with coming into the EDM scene. Your unique way of sound and love you exposed to every show truly made me feel connected to you, especially as a young EDM fan who still hasn’t been to a festival or show. Your legacy lives on forever, legend. Rest in Love, Tim. My condolences to his family and everybody who loves him. There are no guarantees in life. Love hard while you can. Я из России, и знаешь, тут очень многие любили тебя. Твою музыку. Мне было 16 или 18. Тогда я впервые услышал твои треки. Это было удивительно. Ещё никто не смог достичь этого, в электронной музыке. Сейчас я слушаю Levels и у меня почти идут слёзы. Сейчас так мало хороших музыкантов и их становится всё меньше. Жаль что я не смогу никогда попасть твой концерт. Прости нас. Listening to Avicii's music is the closest one's soul can get to roaming free of its Earthly prison. His passing leaves behind a void that, as surreal as it seems, continues to speak to our souls. Thank you for giving this worldly life a reason to feel at peace. You will live on through your music, and our countless memories. Your music was a part of my life, my heart and my memories. When I listen to you music, I keep imagine that you somehow can feel it. I hope you have found peace. Tim, Deine Musik hat mich lange begleitet... mich berührt... mich immer wieder überrascht. Deine Spuren sind überall... dein Talent hat vielen zum Erfolg verholfen... Deine Musik war überall ... wenn wir tanzten... wenn wir fröhlich aber auch wenn wir traurig waren.. Ich habe mich oft gefragt wie Du das meisterst... und ich habe Recht behalten. Du konntest nur noch auf diesem Wege diesem Hamsterrad entfliehen. Ich bin unendlich traurig... die Welt hat noch ein begnadetes Talent verloren. I dedicated a song to my wife to ask for marriage and she said yes! How to forget the beautiful melodies? Avicci mano vc é incrível mano! Eu Não sei nem o que escrever aqui cara! Vc foi um ótimo artista e acredito tb que foi uma ótima pessoa tmj Avicci! Te amo brother! Thanks For Everything <3 Rest In Peace. Tridimensional portrait of my favorite DJ ever. Made by me. Visit Facebook artemico or Instagram: artemico_design, for more photos and videos of my avicii's artworks.